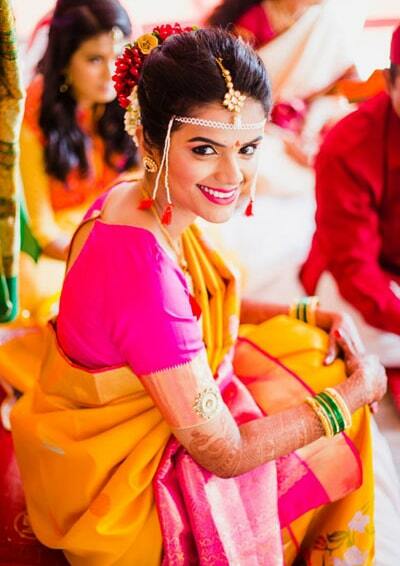 A much-loved South Indian wedding hairdo brought to life with an intricate arrangement of flowers. 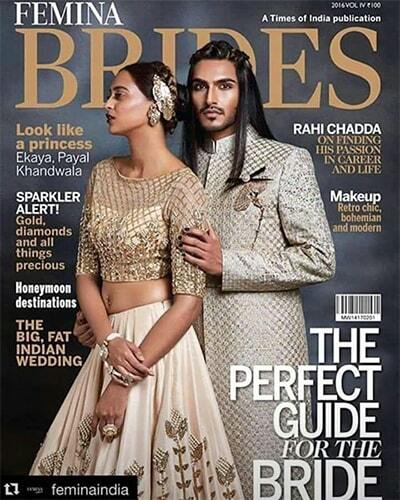 Bohemian Braids to complement outfits designed by Manish Malhotra. Just nailed the look! 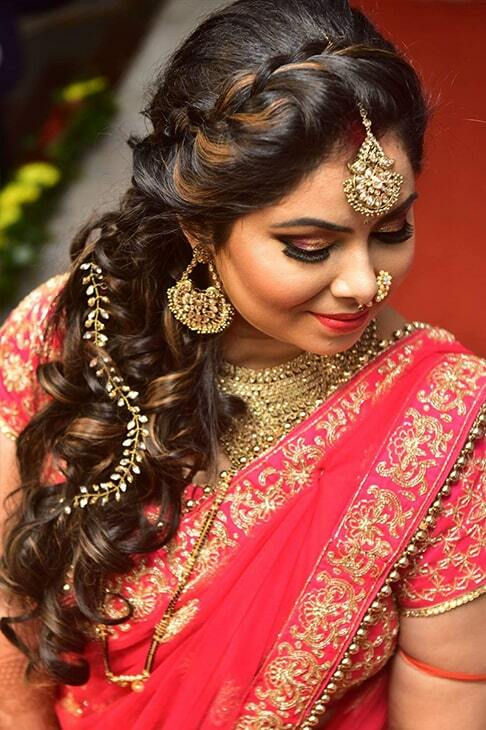 The bridal look - bold makeup, smokey eyes and a beautiful hairdo. 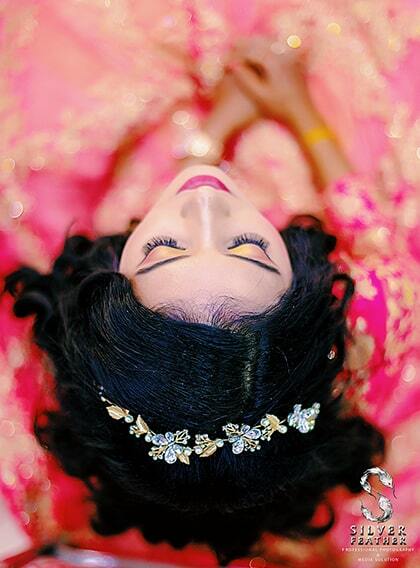 For this beauty, I chose the untamed look for her tresses and contrasted it with an angelic floral crown. 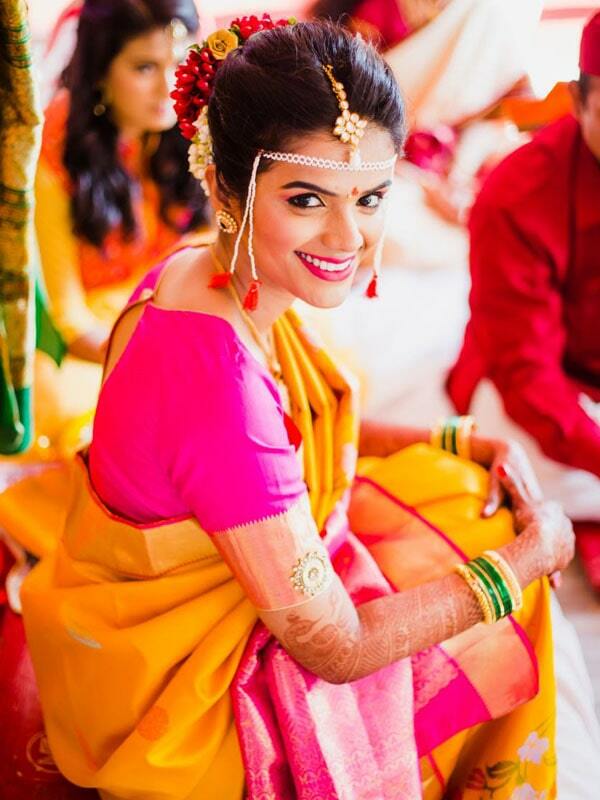 Delighted with her gorgeous makeover, she couldn't help but smile all through the wedding. Soft makeup and hot pink lips . A dream wedding for this bride. 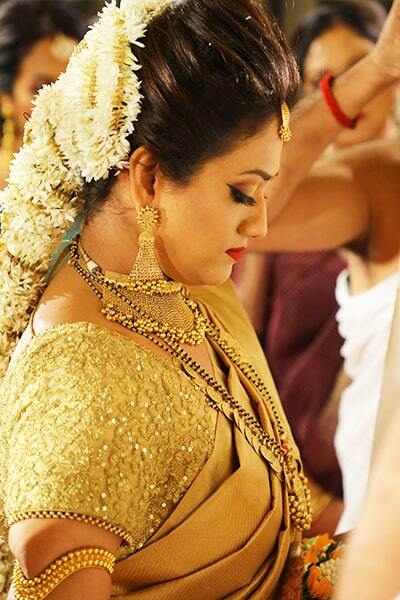 One look into the mirror and she gasped “I must be the most beautiful bride ever”! What more could I ask for? Welcome to my website! I am glad you are here. I have been in this field for 6 years now and my knowledge and experience is ever increasing. I love to help my clients, especially my brides, feel their absolute best. If you like my work and are looking for a makeover. Then let’s connect. I would love to answer all your queries and get to know you. I love playing with colours and my canvas is “The Face”. I have worked with many different faces and skin types. As you can see from my portfolio, I have worked for weddings, private parties, brands ,celebrities and fashion week. 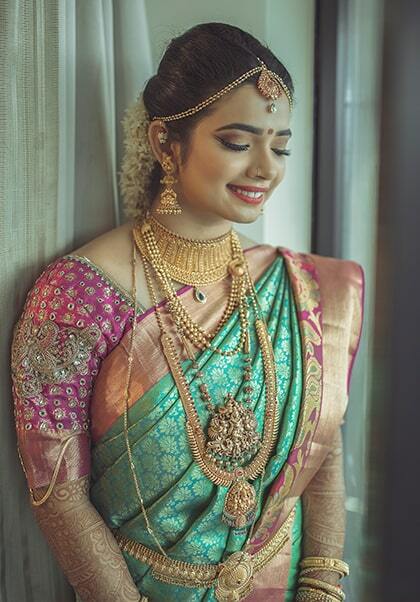 Bridal makeup is an art and I want my brides to be stunningly extravagant. 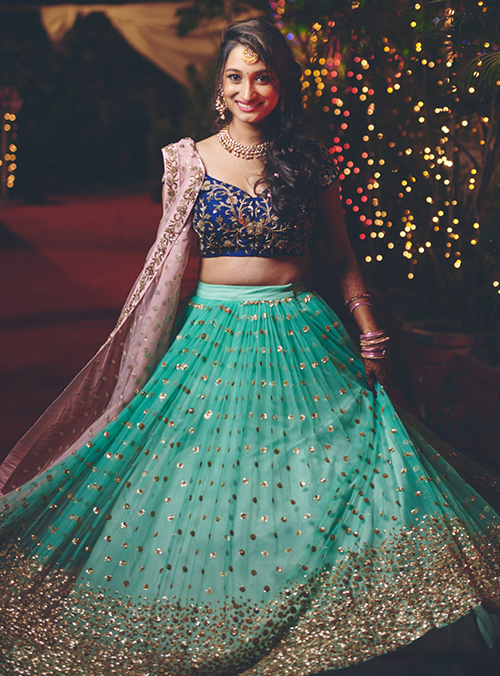 I have an inclination towards weddings – the beautiful brides, the dresses, the happy couples and the sweet smiles! If you’re getting hitched, you’re at the right place and at the right time. 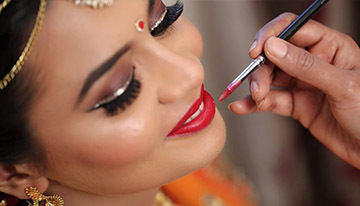 Breathtaking, let me make you look flawless expertise in bridal makeup (Maharashtrian, South Indian, Gujarati, Marwari, Punjabi, Catholic and North Indian). 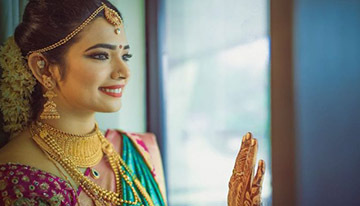 Make your choice among gorgeous hairstyles - loose curls, traditional buns, elegant updos, braids, South Indian hairstyles, top knots, chignon, French twist, messy braids wedding hairstyles and much more. Glowing skin to the beautiful contoured look. Select the eye makeup you like. And let me create the magic. Smokey eyes / false lashes / shimmery eye make / winged liner /halo eyes and much more. Tejaswini was amazing. I couldn’t have been happier with the results and I know everyone else were equally satisfied. My makeup remained flawless .The value of not touching up your makeup on your wedding is seriously priceless. I recommend her to all of the brides. I felt flawless and fabulous!!! Tejaswini's hair and makeup skills are par excellence. She never fails to impress me with her work. She is highly professional and proficient in her area of work. What endears her to her clients is not only her expertise but also her very friendly and accommodating nature. Once you get your hair and makeup done by her you will keep coming back for more. What did you like about the picture?